Last Tuesday evening I took the Log Jam Class at the Stitchin’ Post quilt shop, this time with the actual instructor, Jackie. Jackie is the Queen of the Log Jam (and a wonderful and fun instructor) and I picked up a couple tips I missed when my friends and I made our own class up earlier this year (when our instructor had to cancel so my friends taught me how to “log jam” as discussed in the post What’s on the Design Wall: “Log Jamming” ). Taking the class again (well taking it for real with the official instructor), got me even more addicted to log jamming. I also learned that the log jamming technique is based on an old African sewing process. I thought it was something the quilt shop had developed, I did not realize it had so much history. 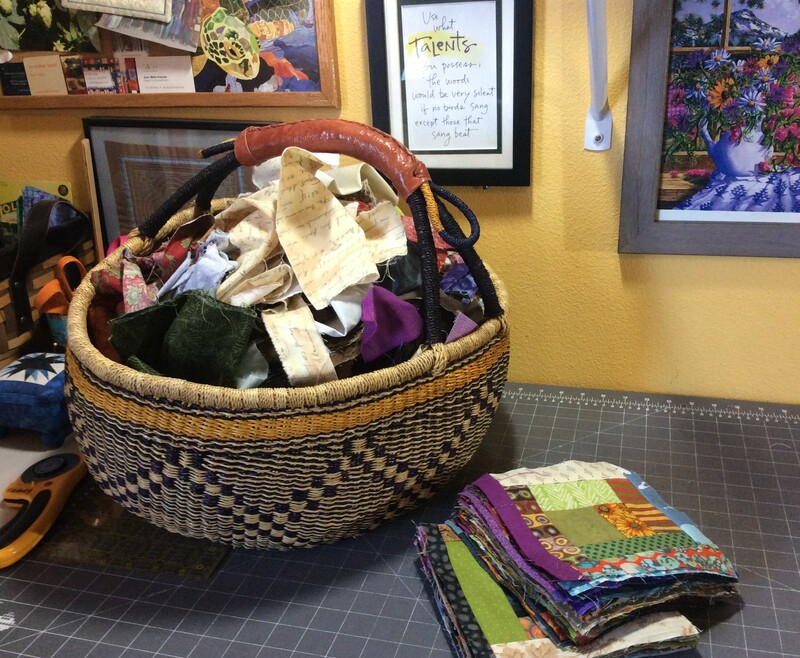 Log jamming is such a great way to work through your fabric scrap collection!